In a war that divides the host of heaven, it’s a recipe for disaster. Adryel and Ramael are young angels in love, bound together for eternity. 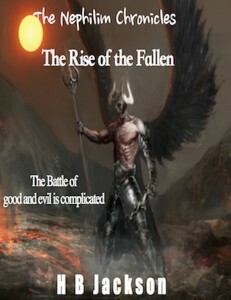 Their plans are disrupted when God determines to create humans and Lucifer, one of the archangels, rebels. Adryel casts her lot with Lucifer. Swayed by his arguments she wages war for his cause and, refusing to renounce him, is exiled in hell. 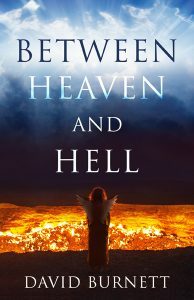 From hell, she befriends the humans, and she accomplishes more to thwart God’s plans for humanity than do Lucifer and all of the other fallen angels combined. Decades pass. Disillusioned, pursued by soldiers, and alone, Adryel yearns to tell Ramael her love has not dimmed. Punishment, hell’s lake of fire, not forgiveness, awaits her should she be found seeking him, but if Ramael will accept her, she could die in peace. This riveting fantasy adventure emphasizes the triumph of good over evil in a young prince’s journey of enlightenment and growth into the responsibilities of manhood. In the Empire of the Seven Kingdoms, the forces of evil test the faith of the royal bloodline in the peaceful city of La Ataviada. The warlock Eduen conspires with the evil King Jonaed to oppressively rule his subjects after winning a battle for the Seven Kingdoms. The surviving soldiers and generals of the Empire, loyal to the fallen King Alexis, hide in waiting for the day their Redeemer comes to lead them to victory. 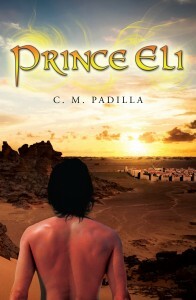 The plot revolves around young Prince Eli, Jhaveh’s chosen Redeemer, and his adopted brother Liam, as they journey from Paradise through many mystical lands, learning valuable lessons and skills along the way. With the help of Rolsta, Prince Eli’s winged lion, legions of angel warriors and the elusive Princess of the Waters, Eli and his soldiers victoriously reclaim La Ataviada and the Empire. Otto Boteman suffers a massive heart attack and wakes up in a strange, jeweled city filled with beautiful people, a mesmerizing sky defying all physics, and what looks suspiciously like his first car. Seeking answers, Otto has a disturbing encounter with a murdered childhood friend and is assured by some kind of angel bureaucrat that this is Heaven, but God is not here so don’t bother looking. No God? Can’t be Heaven, then, despite the best danishes he’s ever eaten and residence in a pretty nice condo (replete with tailored suits and HBO). Maybe he’s not even dead, just comatose. But then he meets Claudia, a 5th Century beauty running an Irish pub, who tells him about a group of malcontents building a rocket ship in the far desert. Their mission? Find God. So begins Otto’s journey across a fabulous world peopled with the likes of Doc Holliday, Prester John, and a Mongol horde led by an accountant from West Kankakee, Illinois. 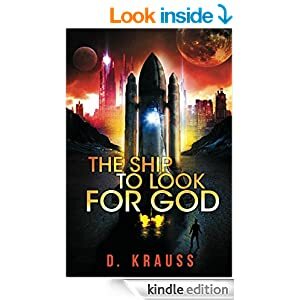 Drawing the wrath of a frenzied, suit-wearing army of angels (or demons, can’t tell), Otto discovers that launching the ship just might end the eternal struggle between good and evil.